Not everyone is getting Raise to Wake. One of the best new features of iOS 10 won’t be available for all devices that are compatible with Apple’s jam-packed mobile update. Raise to Wake is such a simple and transformative new feature in iOS 10 that it feels like iPhones should have had it for years. Turning on the lock screen by just picking up your iPhone makes getting to notifications and apps quicker, but unless you have an iPad or iPhone released in the last year, you won’t get to enjoy it. There's some exciting stuff at WWDC. 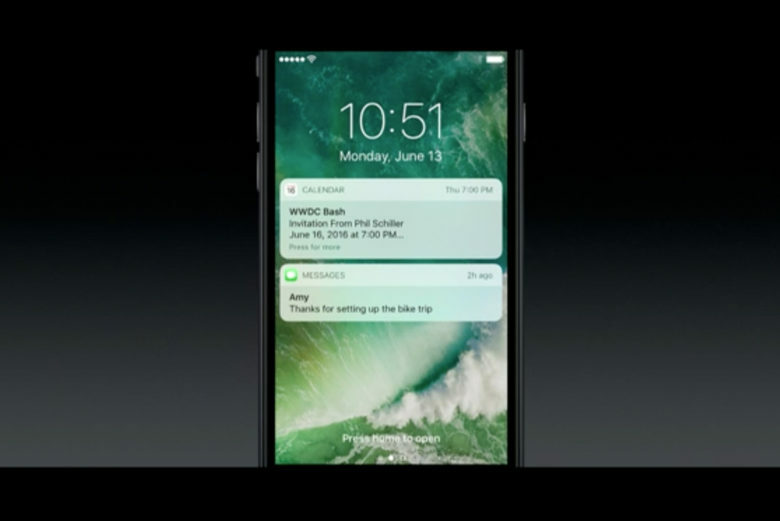 Although WWDC is a developer event, Apple’s keynote today was chockablock with features for end-users. It came thick and fast, with updates for watches, TVs, phones and computers. There’s lots to unpack. Some of it was ho-hum. Siri on the Mac? Meh. A new app called Breathe? To do what exactly — remind you to inhale? But there was tons of great stuff. Here are the features big and small that we’re most excited about.